Hate is the only four letter word I refuse to use. Others flow, far to freely, on too many occasions. So why draw the line at the word hate? What's so bad about that particular word? Today, Braden had a surgical procedure to remove his Hickman central line...it is a line that ran through his veins to deliver his chemotherapy and then drugs to counteract the damage that the chemo did to his body. It is a rather medieval looking device with long tubes sticking out of his chest that have caps on them to connect to the tubes from the drugs so they can be pumped through his body. 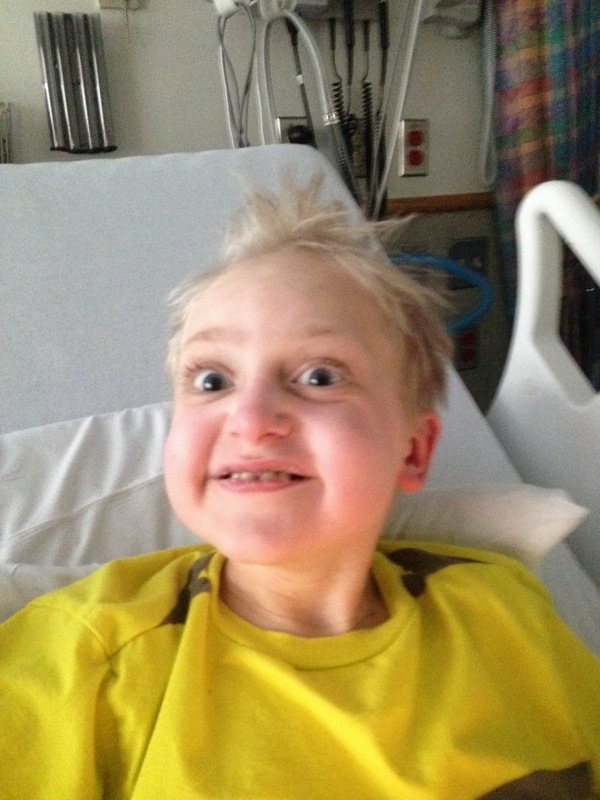 a full month earlier than they predicted his earliest dismissal day from the hospital would happen. 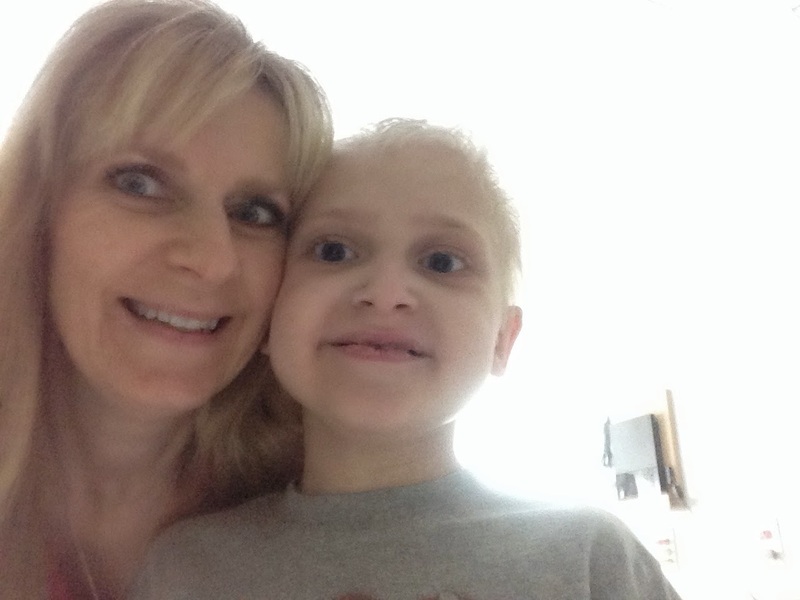 They also did a bone marrow aspirate to check his bone marrow for any signs of remaining MDS cells, that's the pre-leukemia Braden has that was caused by the treatments to save his life from relapsing neuroblastoma. It simply has to be gone. and he's 9 years old. and lives life to the fullest every day with joy and love. As he was still in a deep sleep from sedation, he had one single tear dripping from his eye and it broke my heart in a million pieces. he has been shooting basketball hoops, playing, and painting beautiful pictures. But it does wear on him....and that tear showed it. I often hear people tell me how they hate cancer because of what it has done to them or to someone they love. And this tear completely ripped my heart out. 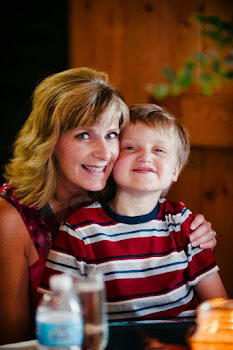 Just another time cancer was hurting my baby. But I will never say that I hate cancer. Hate comes from an ugly, evil place. Hate is the reason that a grandfather, his 14 year old grandson, and a woman were just shot and killed in my hometown. A fourteen year old beautiful boy who had his entire life ahead of him. A grandfather who was lovingly taking him to try out to be a part of a singing group, a dream of his. A woman who was making her weekly visit to her mother at a retirement village. Gunned down randomly by a crazy man yelling "Heil Hitler" as they placed him in the police car. You see, they were killed at two different Jewish locations, likely because he believed they were Jewish. and as much as I actively dislike what cancer has done to our son and our family, I simply REFUSE to allow this disease to make me hate. I refuse allow cancer to conquer me. I refuse to allow it to make me hate. cANCER, evil and hatred will never receive my soul. As much as I would have chosen another path for our son, it is the path he has had to walk. I would give my life to change that for him, but I cannot. 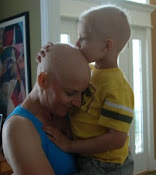 cANCER has blessed us in so many ways. We have been shown how much love, support, compassion and true selflessness is in the world. People have shown us all of that with open arms. 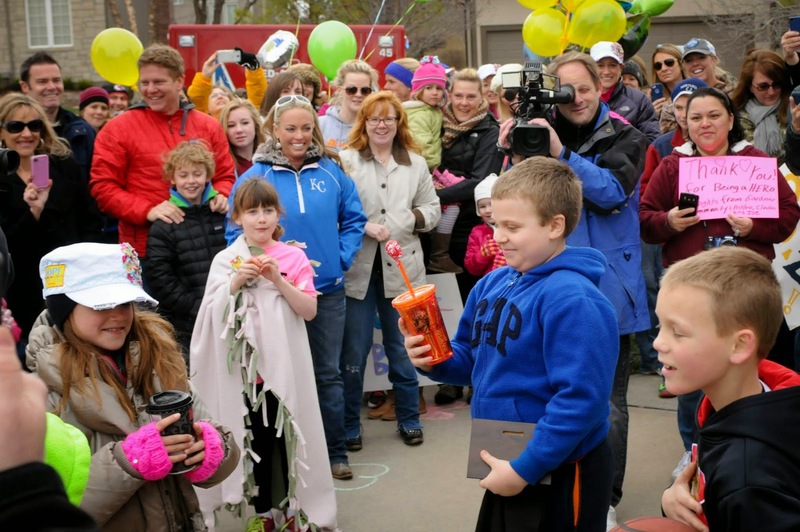 As they did when the community showed up to welcome Zach home after he arrived from donating his bone marrow to Braden to try to save his life. So in a very twisted turn of events, cANCER has brought beauty and grace to our lives by showing us exactly how much more good there is in the world than evil. My heart breaks because of our son's one single tear dripping from his eye. but I get back up and I fight every single day because I refuse to allow hate in my life in any way shape or form. Hate is the worst four letter word in the world because it consumes souls and allows evil to reign and spread. We conquer hatred through loving acts and words, and through faith. God has Braden in His hands and I trust Him to care for him and that far surpasses hatred and evil. Amen. You are a strong beautiful woman, Deliece, and you are the epitome of faith, hope and love. You are a crazy, amazing human being. And it makes me "happy"! Amen! You and your family are an inspiration to me and mine. Thank you Jennifer...so blessed to have you in our lives! :) XOXO!! Love you Maureen...no pulpit for me...just a soapbox. LOL!! :) BIG hugs and love you tons! DELIECE U R WONDER WOMAN & YOUR STRAIGHT FORWARDNESS HELPS EVERYONE & YOU'RE SUCH AN INSPIRATION TO ANYONE WHO READS THIS. IT HAS TO B DEVASTATING TO SEE YOUR CHILDREN GO THRU THIS ORDEAL. I AM PROUD OF YOU & YOU HAVE THE SWEETEST SOUL EVER!!!! TAKE CARE & SAYING PRAYS FOR YOUR WHOLE FAMILY. MAY GOD AWAYS WATCH OVER AND GET YOUR SONS HEALTH BACK IN ORDER! BLESSINGS TO YOU!!! Thank you so much Dee!! XO! !